We’d love your help. 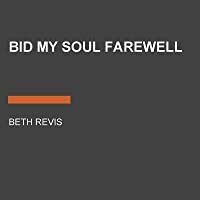 Let us know what’s wrong with this preview of Bid My Soul Farewell by Beth Revis. The stunning finale of the epic fantasy duology from New York Times bestselling author Beth Revis. Alchemy student turned necromancer Nedra Brysstain has made a life-changing decision to embrace the darkness--but can the boy who loves her bring her back to the light before she pays the ultimate price? Lunar Island is trying to heal. The necromantic plague that ravaged the l The stunning finale of the epic fantasy duology from New York Times bestselling author Beth Revis. Lunar Island is trying to heal. The necromantic plague that ravaged the land has been eradicated, and Emperor Auguste, the young and charming leader of the Allyrian Empire, has a plan: rid the island of necromancy once and for all. Though Greggori "Grey" Astor wants what's best for his people, he knows that allying himself with Auguste threatens the one person he loves most: necromancer Nedra Brysstain. Feeling like he already failed to save Nedra once, Grey becomes determined to help the Emperor rebuild Lunar Island while still keeping Nedra safe from harm. Back at the quarantine hospital, Nedra's army of revenants are growing increasingly inhuman by the day. Wracked with guilt for imprisoning their souls, Nedra vows to discover a way to free the dead while still keeping her sister by her side. 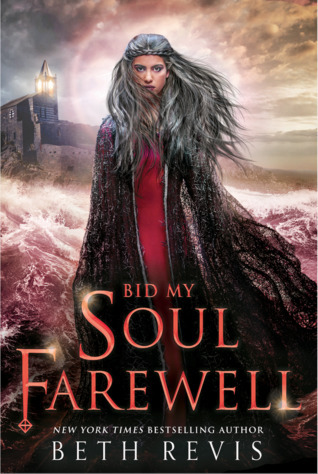 To ask other readers questions about Bid My Soul Farewell, please sign up. I mean like I know book one hasn’t released but when is THIS releasing? I mean, after book one, I NEED this. Um... I don't mean to make a big deal of this but... I NEED THIS RIGHT NOW OR I WILL PROBABLY EXPLODE FROM ANGST, WORRY, AND ANTICIPATION. Hi, I didn't realise the title or cover had arrived. I also love this cover- maybe more than the first one?? Because yes, I need to know what happens after the way book 1 ended. Title & cover were revealed via Beth Revis's email subscription! I haven't even read the first one yet, but I must say, as far as cover models go, this is quite stunning. Guys, WE HAVE A TITLE! Release date is 24th September 2019. The full summary/description of the book can be found here. Looking at that cover alone makes me want to read this book now!! Cant wait to get my hands on it. The anticipation is gonna kill me. I need this I need this I need this I need this! Seriously, September cannot come soon enough! I'm so excited to read and review the sequel of such an amazing book. Give the Dark my Love set the bar SOOO high so I can't wait to see how Beth Revis continues Nedra and Grey's story. This cover is so beautiful! !